Forside / Dyeing / Dyeing yarn. Mostly I’m dyeing fiber, not yarn. 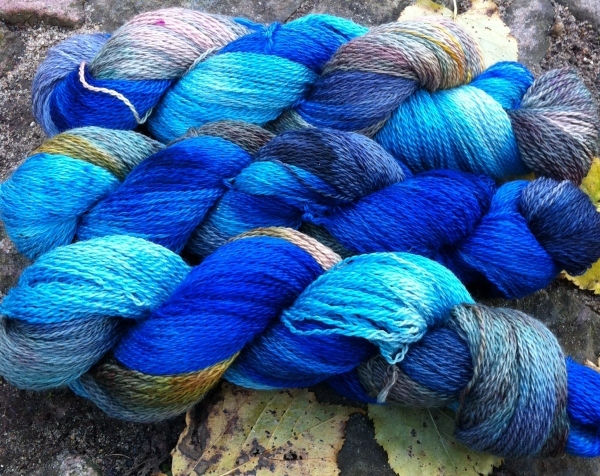 But lately that has changed, mainly because of my dyeing of the wonderful Yorkshire and Buble yarns for BC Garn. Blue/lavender/golden colourway on BFL-yarn. Sold..
Aquamarine/turquoise/greyish colourway. 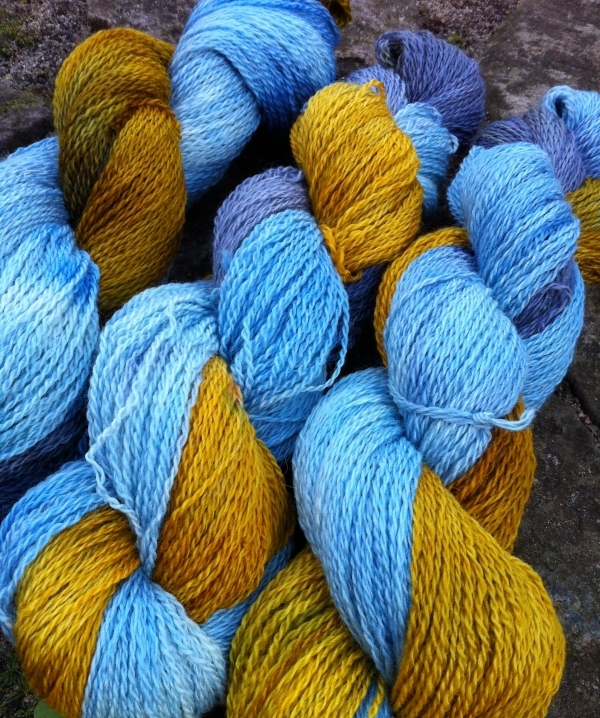 This lot is also sold..
Today I’m doing a batch of sock yarn in the colourway “Bright Mountain”. It’ll go on the webshop as soon as it’s dry! Næste indlæg: Knitting with my freshly dyed sock yarn!